Many of you may be thinking the same about me now or others who are trying to sound the alarm that the American church is headed toward apostasy. Please, dear brothers and sisters. Don’t worry about rejecting me. But please, don’t reject Christ! I love you too much for that. Please examine the teachings of every beloved teacher against the sound Word, no matter who they are. 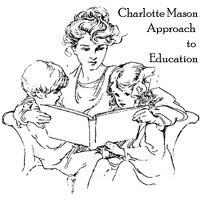 Finally, the Lord just had to plunge me into the deep end of Universalism and Spiritual Formation at a Charlotte Mason homeschool conference to wake me up (you can read about that here). When I was a child, false teaching kept me awake at night. I had grievous sins as a child and young adult. Too dark to share in a public fashion, but regardless, as the Word says, we all have sinned greatly before the Lord. Growing up in a church telling me that I had to be perfect or I could lose my salvation and that I needed the “second blessing” was detrimental to me. Crying and fearful, I went to the altar thousands of times. By my mid twenties, I was exhausted trying to keep myself saved and I had given up. You would still be told I was a Christian if you asked, but I was living for myself and not God! In 2001, at a desperate point in life when my own ability to control my life and circumstances had reached an all time low, when 9-11 occurred and the world seemed to be falling apart, I had that fear come back to me. What if He returns? Will I be ready? One day after weeks of praying and searching for truth and not understanding the Word, I cried out the most blasphemous prayer. It was no sinner's prayer. I said, “God, if you are real you need to show me the truth or get out of my life and leave me alone, I can not live this way any longer.” Knowing the sovereignty and severity of God, it is only a testimony to His long suffering and mercy toward me that He answered my prayer in the way that was best for my soul, and not in the way I deserved. For the first time in all my life, the Holy Spirit illuminated this truth to me, that Christ had finished his work, and that I was merely to repent and believe on this to be saved. This is no martyrdom statement. It is just a fact! I committed serious and grave sins against my God, and sadly, I often still do; however, with His help I press toward the goal of that upward call. With my brother, Paul, I can say I am the chief of sinners, but like Paul, I will no longer live for myself. I will live for the Lord Jesus Christ and His Word. I firmly believe it is the duty of every Christian who understands the free grace of God to fight tooth and nail to preserve it. It is a most hateful thing to cover sin and and to cover the truth in the name of unity. For it torments the children of God and it damns men’s souls to hell. My conscience is held captive to the Word of God! Here I stand! I can do no other!